Okay, so according to the L.A. Times and some other sources, the Sci Fi Network is close to signing on for as many three Battlestar Galactica TV movies, which would presumably be in the same vein as last November’s Razor movie. So basically, we’re talking self-contained two-hour episodes, to be shot while much of the cast and crew are (more or less) all still in the same place. Some or all of these movies would air before the show comes back from mid-final-season hiatus, in a shameless attempt to keep the buzz alive for as long as possible before we get to see those final episodes. And who are we kidding — BSG addict that I am, I’ll watch them all … probably more than once. 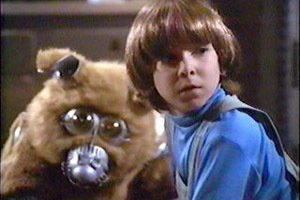 1) Battlestar Galactica: A Boy & His Daggit – For those who don’t remember the old series, Boxey was the cheap device young character used to make kids identify with the show. 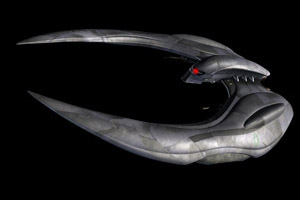 Orphaned by the Cylon attack on Caprica, which even took the life of his daggit (dog), he was given a weird-looking robot daggit named Muffit as a replacement. Yes, that’s right, BOXey and MUFFit — was the decency editor sleeping that day? Anyway, Boxey and his freak dog went on to appear in 19 episodes of the series, as well as quite a few lunch boxes. Turns out Boxey is also in the modern version of the show … but not much. Remember the scene in the miniseries where Six walks up to the guy at the desk at the Armistice Station and kisses him, just before the Cylons blow up the station? Well according to the script, that guy is Boxey’s father (we know this because his picture is on the guy’s desk). 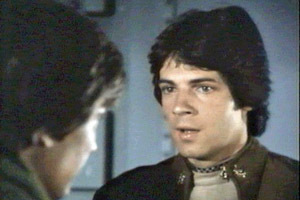 Boxey only appears once, in the “Bastille Day” episode, but according to the Battlestar Wiki, he acted in a handful of other scenes that ended up on the cutting room floor. I imagine a movie that starts with Boxey learning about his father’s death, then vowing vengeance on the Cylons who killed him. Largely unnoticed by the crew of the Galactica, he sneaks into Baltar’s lab every night, and teaches himself everything there is to know about Cylon “skin job” technology. Over time, he builds himself a hellish half-cyborg dog, and when they reach New Caprica, he and Muffit strike out on their own, wandering the planet until they stumble across a stranded Cylon Centurion. Boxey and the Cylon form an unlikely ironic friendship, and grow to rely on one another for their very survival. That is, until Boxey hits puberty, and decides to deconstruct both the Centurion and Muffit, and use their parts to create a hot-looking platinum blonde “Six” to keep him company. And everybody lives happily ever after. When the movie begins, we are introduced to young Stanley, the love child of a “Three” and a Centurion. Even though some of the other kids tease him for being a half-breed, Stanley makes his own share of friends growing up. He studies hard and gets good grades, hoping to someday embrace his dream of graduating from the Academy and becoming a Centurion like his father. But it all goes wrong when he falls in love with Colette, the Hybrid who controls the basestar that his mother works on. Everybody tells Stanley that the Hybrid is crazy, but he’s convinced that she loves him back, and that her endless streams of babbling are a song meant for his ears only. When Stanley’s mother learns of his infatuation, she knows it can only end in sadness. She pulls a few strings with Cavil, and has Stanley assigned to a Raider squadron out of high school, rationalizing to him that fighter ships will be needed in the pending war with the humans. As his body is twisted into the shape of a Raider, Stanley can almost feel the love drain out of his soul — for Colette, for his mother, for everything. What little emotion remains he carries into his first dogfight, and it nearly costs him his life. Unfocused and sloppy, he underestimates his opponent, a human pilot with the call sign “Starbuck”, and as a result, he walks away with a scar … and a call sign of his own. 3) Battlestar Galactica: Zak’s Back – We all know the story of “the other Adama boy” — Lee’s dopey brother Zak, whose fiancee Kara Thrace gave him a passing grade despite the fact that he was a terrible pilot. As a result, he died in a tragic flight accident two years before the Cylons attacked the Twelve Colonies. Or DID he? His name is Simon. Number four, iirc. Seriously, other than the episode on Caprica where they try to get Starbuck pregnant, has Simon ever had any dialogue? I’m surprised Al Sharpton has never made a stink about this.